The Worl d Day Against Trafficking in Persons on July 30 seeks to find justice for the approximately 21 million people who are trafficked annually around the world. This is a global issue: according to the UN, at least 127 of the 195 recognized countries have reported incidents of trafficking. Empathetic Media has partnered with the ATTeam from the Red Cross Pancevo (part of the Red Cross Serbia) to raise awareness about the issue of human slavery. 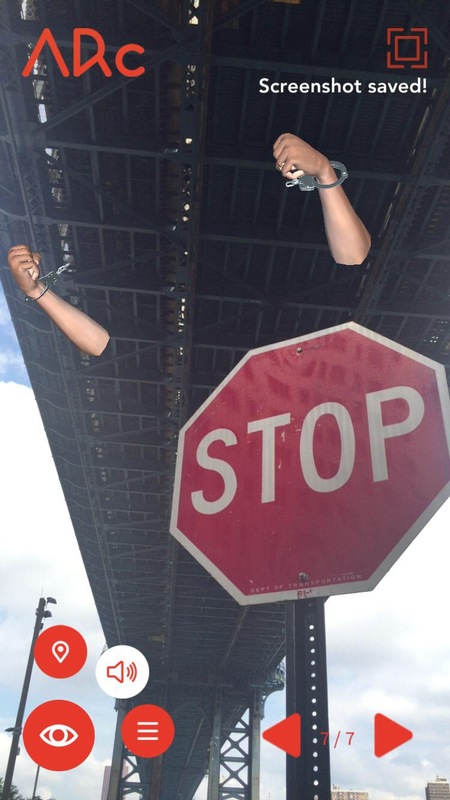 The story, “#STOPtrafficking2016” will be hosted on Empathetic Media’s free a pp, ARc Stories, the first augmented reality (AR) sequential storytelling app. 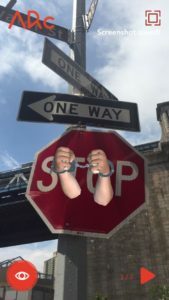 The AR experience uses traffic stop signs as a trigger. Users can go up to a real world stop sign or a graphic of one to view the story, which explores human trafficking through the stories of three people affected by it. Empathetic Media provides context for these real world experiences with relevant facts and statics on trafficking. 3D models are combined with audio, maps and text to make the story more immersive. The square in the top right hand corner allows screenshots of the experience to be taken and saved to the device for social media sharing with #STOPtrafficking2016. Empathetic Media will share on Facebook and Twitter every related screenshot marked with the hasthtag. As part of World Day Against Trafficking in Persons, the ATTeam from the Red Cross Pancevo will also activate Blue Heart Routes throughout the city of Pancevo. At specific points including bus stations, public parks and shopping malls, volunteers will invite people to join the Blue Heart photo campaign, forming a he art with their hands to show support for the millions of victims of human trafficking and to give them hope for returning into the society. A Safe Zone will also be formed in the middle of big shopping mall in Pancevo. The organization will inform people about human trafficking and put a white wall in the Safe Zone so that people can write and draw messages of support for victims of human trafficking. When it comes to how augmented/virtual reality will affect people on a deeper level, you are one of the few I’ve seen to actually demonstrate this with real-world yet unspoken tragedies, such as human trafficking. Allowing people to pull out their smartphones and experience this through the stories of the victims first-hand, undeniably creates empathy and action towards stopping human trafficking. Thank you for your investment in bringing these stories to light and hope to see more these stories coming to VR/AR. Thank you very much Andre for your kind words. Let’s stay in touch.